The state honored a rapidly-growing ship maintenance company in Kitsap County last week for its commitment to hiring veterans. Former service members comprise more than half of the workforce at Global Government Services in Bremerton, according to a news release from the Employment Security Department. Global Government Services hired 96 full-time workers in the past year, including laborers, helpers, welders, electricians, machinists and mechanics. It plans to hire another 100 employees in the coming year, according to the release. Global was among 12 businesses across the state honored for creating employment opportunities for veterans. The state’s WorkSource program placed nearly 7,500 veterans into jobs between July 2015 and June 2016. Employers interested in hiring veterans can learn more at the WorkSource website. Two boats tested in Sinclair Inlet are now patrolling sunnier seas. The Royal Bahamas Police Force has accepted delivery of a pair of 41-foot, center console interceptor vessels manufactured by Bremerton’s SAFE Boats International, according to a news release. The boats will primarily be used to combat drug smuggling and human trafficking in water surrounding the archipelago. Special features include a thermal imaging camera and multi-function display screens for the crew. 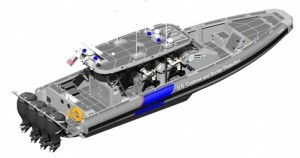 The offshore interceptor vessels can achieve speeds of more than 50 knots, even in rough water. Bahamas police have four of the boats in service. 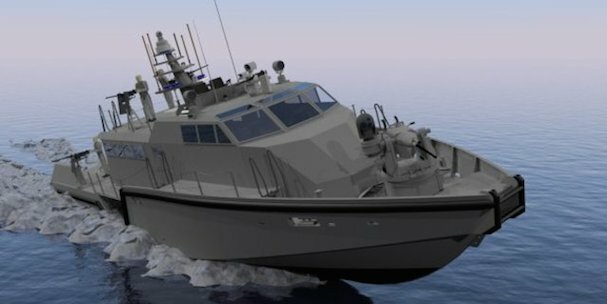 SAFE Boats recently landed a $48 million U.S. Customs contract to build 52 Coastal Interceptor Vessels. The company will begin delivering those vessels this year, according to the release. SAFE Boats’ small boat manufacturing center is located in the Port of Bremerton’s Olympic View Industrial Park, near Bremerton National Airport. Click here for more maritime industry posts. Bremerton’s SAFE Boats International has been chosen to build a line of speedy river patrol vessels for the ColI mbian military. The Colombian Navy/Coast Guard awarded a contract to the manufacturer for the new 30-foot boat, designated as the Type-F Riverine Interceptor Vessel. “The vessel will perform missions of offensive patrolling, combat drug trafficking, piracy, arms and explosives smuggling and can conduct vessel-to-vessel boarding operations to guarantee the security of commercial shipping lines within Colombia,” according to a news release. The interceptor can carry a crew of up to 10. The boat is powered by twin Yamaha outboards and is capable of reaching 37 knots. It features a retractable canopy, and front and rear machine gun mounts. SAFE Boats has completed the first riverine interceptor, which will be delivered this month. The company expects to build as many as two-dozen of the boats for Colombia in coming years. The Colombian military already has more than 20 SAFE Boats in service, including 41-foot coastal interceptor vessels and 38-foot coastal cabin patrol vessels. “We have worked very close with the Colombian military to understand just how aggressive and remote their missions can be and to develop a boat that will significantly enhance their patrol and interdiction capabilities on the large rivers of Colombia,” John Hotz, director of sales for Latin America and the Caribbean, said in the release. SAFE Boats builds its smaller aluminum vessels at a facility in the Port of Bremerton’s Olympic View Industrial Park. A larger line of Navy patrol boats is being built in Tacoma. The U.S. Navy has ordered two more Mk VI patrol boats from SAFE Boats International. The order represents a $17.8 million modification to an existing contract awarded to SAFE Boats last year for a second installment of Mk VI vessels. All told, SAFE Boats will build 12 of the patrol boats for the Navy. The aluminum boat builder is manufacturing the 85-foot, jet-powered boats at the Port of Tacoma. SAFE Boats is headquartered in Bremerton and builds smaller vessels at Olympic View Industrial Park. The award comes on the heals of a $48 million U.S. Customs contract for interceptor vessels announced in early July. SAFE Boats isn’t the only Bremerton-based company to land a large defense job this month. Vet Industrial of Bremerton was awarded a nearly $12 million contract to build a remote switching unit building and associated site work at Gray’s Army Airfield, Joint Base Lewis McChord. The project is expected to be completed by August 2016. The company, with headquarters on Charleston Beach Road, was one of two to bid. Funding will come from the 2015 fiscal year military construction budget. It’s a service-disabled, veteran-owned small business that has been performing general contracting services for federal and state government agencies since 2006. Want to know when fresh content is posted to the Minding Your Business blog? Sign up for email alerts. 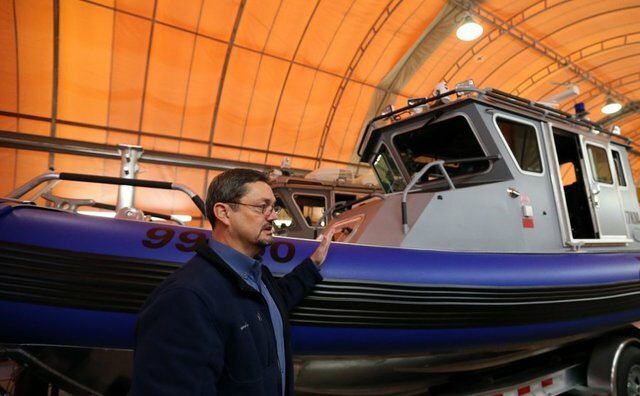 Bremerton-based SAFE Boats International will build up to 52 Coastal Interceptor Vehicles under a new contract for U.S. Customs and Border Protection. The contract is valued at more than $48 million, according to a news release. The 41-foot Coastal Interceptors designed to chase down suspect boats, and serve as a platform for officers to perform searches and seizures. The vessels are highly maneuverable and can reach speeds of more than 54 knots over open ocean. The interceptors are similar to a center-console vessels SAFE Boats has already produced for the Royal Bahamian Police, Colombian Navy and private owners. With the addition of the Customs contract, SAFE Boats is now working on three projects for the federal government, including a series of small, “Over-the-Horizon” vessels for the Coast Guard, and larger Mk VI patrol boats for the Navy, which are being produced in Tacoma. With the award of CIV, SAFE Boats is now delivering 3 major US Federal programs including the USCG Over-the-Horizon (OTH) and the US Navy Mk VI High Speed Patrol Boat. SAFE Boats employs about 190 workers at its Port of Bremerton manufacturing facility, where it recently renewed its lease. Triton Marine Construction Corp. of Bremerton has been selected to complete $9.9 million in work at Puget Sound Naval Shipyard & Intermediate Maintenance Facility. The work will be completed under a previously-awarded contract for construction of a dry dock water treatment system, according to a release from the Department of Defense. Triton will build infrastructure at three dry docks necessary to bring the shipyard into compliance with environmental standards for capturing and treating water used for industrial processes. The Navy received four proposals for the work. Construction will be completed in the fall of 2016. 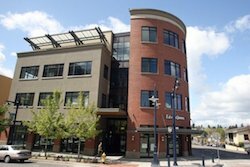 The Bremerton contractor recently moved its headquarters to Constance Road in the Port of Bremerton’s Olympic View Industrial Park. Triton moved to Kitsap from Houston in 1999. SAFE Boats International delivered the first of its new MK VI patrol boats to the U.S. Navy in August, according to a Navy wire story. 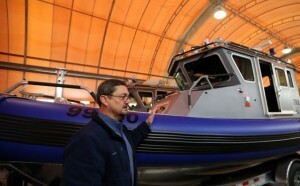 It’s the first of 10 patrol vessels SAFE Boats is building for the Navy. SAFE is headquartered in Bremerton but building the MK VI series in Tacoma. The 85-foot boats will be used by the Navy Expeditionary Combat Command for coastal and river operations. The patrol boats can accommodate up to 10 crew members and eight passengers, while motoring at speeds up to 35 knots. The first MK VI completed sea trials over the summer and will be deployed in the spring of 2015, according to the Navy. SAFE will continue deliveries through 2018. The Navy awarded SAFE an initial $30.5 million patrol boat contract in 2012 and an additional contract earlier this year. Greening up the maritime industry will be the topic of a fall symposium in Bremerton. The inaugural Blue Green Sustainability Symposium, organized by the American Society of Naval Engineers, is scheduled for Oct. 1-2 at the Kitsap Conference Center. Blue Green 2014 focuses on energy efficiency, reductions in discharges and emissions, and environmental safeguards for port facilities and ships at sea. Blue Green 2014 will attract prominent guest speakers, panelists, and paper presentations from industry, academia, Navy, Coast Guard, and government officials. Join us for an extraordinary opportunity to interact with government policy makers, ship operators, repair and maintenance professionals, ship designers, builders, engineers, program managers, life-cycle engineers, suppliers, and other technical experts. The society is accepting technical paper abstracts through May 8. Like our fickle spring weather, employment numbers in the first three months of the year showed bright spots amid some lingering gloom. Jobs are more plentiful in Kitsap County than a year ago, with about 900 more people employed by Kitsap employers in March 2014 than March 2013. But the county lagged behind the state overall in job creation over the same period (1.1 percent growth compared to 2.1 percent). And employment in Kitsap still isn’t where it was at the start of the recession.